Montana Federal Criminal Defense Lawyers - Oberheiden, P.C. Our law firm – Oberheiden, P.C., has an impressive record of success in Montana and the rest of the country. Call (888) 519-4897 now for a free and confidential consultation with one of our Montana federal criminal defense lawyers. Our firm has a history of successfully representing individuals and corporate clients in a multitude of federal criminal cases. As a federal criminal defense firm, Oberheiden, P.C. has a proven track record of success and decades worth of experience. Our law firm is comprised of consummate senor attorneys, many of whom were former prosecutors with the federal government before entering private practice. If you are at risk for criminal prosecution and sentencing, you will need attorneys who understand the federal criminal justice system inside and out, and can help you avoid charges entirely. In Montana, Assistant United States Attorneys (AUSAs), often pursue multiple counts for a wide range of charges. In the federal criminal justice system the possibility for long-term imprisonment and substantial fines always exists. Our proven and winning Montana federal criminal defense lawyers have helped countless clients avoid decades of prison time and avoid thousands, if not millions of dollars in fines, outright. Call us today for a free and confidential case assessment. An Experienced and Proven Federal Defense Team for All Aspects of Federal Criminal Cases in Montana. Contact our firm immediately if you are facing serious charges, have received a target letter or grand jury subpoena, or have been approached by federal agents from the FBI, IRS, OIG, DEA, or others. Your legal defense team will need time to prepare, and the sooner you call, the better the chances for a more favorable outcome. Oberheiden, P.C.’s team of experienced Montana federal criminal defense lawyers gets involved instantaneously and we will effectively represent you at all stages of the federal criminal justice process, from investigations through appeals. During the government’s investigation, often times, the first opportunity to defend yourself against federal charges presents itself. It depends on the charges, but quite often, these can include the Department of Justice (DOJ), the Internal Revenue Service (IRS), the Federal Bureau of Investigation (FBI), the Office of the Inspector General (OIG), the Drug Enforcement Administration (DEA), and others. There are two important tasks to take when facing a government investigation: (1) your attorneys need to determine which agencies, precisely, are involved, and (2) your attorneys will need to determine the nature of the investigation, and whether it is criminal or civil in nature. If an investigation is only civil – this limits the penalties that are available to the government. For example, in civil cases, the risk for incarceration in federal prison is nonexistent. If your investigation is civil, it is best to keep it classified as such because criminal investigations are another matter altogether. If an investigation is criminal in nature, or has the possibility to be considered as such, there is still time to craft a strong defense strategy. At Oberheiden, P.C., the vast majority of our clients do not face criminal or civil charges, and by far, most of our clients have contacted our firm during the investigative process. Do not wait – take the initiative and call our firm today. A federal grand jury is often used by federal prosecutors to obtain an indictment in order to formally pursue criminal charges. Your attorney will need to review your options if you have received a grand jury subpoena. Your legal defense team will need to determine which steps you will need to take in order to comply, on what grounds, and how to potentially argue against the government’s subpoena, in whole or in part. Preparing to submit documents or providing testimony in response to the grand jury subpoena is much of the work involved in these situations. Having an experienced federal attorney is absolutely crucial precisely for this reason. A lawyer with years of federal litigation experience will understand how to prepare you for the possibility of presenting yourself in front of a grand jury. An experienced counsel will also know which documents, if any, you need to provide to federal authorities. Your attorney can also protect you against self-incrimination or breaking the attorney-client privilege. If you have been federally charged, at times, it is best to seek a favorable resolution prior to trial. This can be an effective strategy because it is during this stage of the process when most charges are resolved. Your defense team can accomplish this by convincing the U.S. Attorney’s Office to drop the charges entirely, or through plea bargains. A lot of other law firms do not put credence on the pre-trial portion of the federal litigation process and immediately skip ahead to the trial portion. Our Montana federal criminal defense lawyers believe that each stage is important and each stage presents new opportunities to get the best possible result for our clients. Oberheiden, P.C.’s attorneys work hard on your behalf, even if there is a guilty verdict rendered against you, because we believe your fate is never predetermined. Our Montana federal criminal defense lawyershave the experience necessary to reduce your sentence and they understand the process in order to do so. We will work around the clock to maximize your opportunities for success and minimize the consequences of your conviction, even if it does reach this stage. A lot of people do not understand that, even if there is a guilty verdict rendered against you, you may still have an array of legal defenses available. The grounds for appeals in a federal criminal trial are limited, but our law firm understands the important step of preserving all potential appellate arguments. Our Montana federal criminal defense lawyers maintain an active appellate practice in addition to the representation we provide to individuals and corporate defendants at trial. Our appellate practice does not just represent our own clients, but also the clients of other lawyers, which were previously represented. 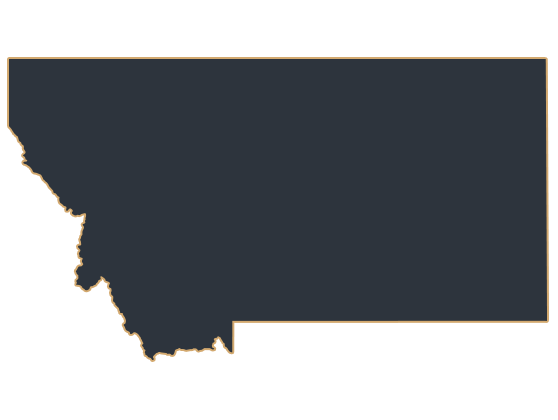 Montana is divided into different federal districts. The Big Sky State is part of the United States Court of Appeals for the Ninth Circuit (in case citations, 9th Cir.). In the United States District Court for the District of Montana, federal prosecutors are tasked to enforce federal law on behalf of the U.S. Department of Justice. Montana contains one federal district, the United States District Court for the District of Montana (in case citations, D. Mont.). This district locates federal courthouses as well as branches of the Department of Justice, so-called U.S. Attorney’s Offices. The U.S. Attorney’s Offices employ federal prosecutors, also referred to as Assistant United States Attorneys (AUSA). The United States District Court for the District of Montana (in case citations, D. Mont.) covers the counties of Beaverhead, Big Horn, Blaine, Broadwater, Carbon, Carter, Cascade, Chouteau, Custer, Daniels, Dawson, Deer Lodge, Fallon, Fergus, Flathead, Gallatin, Garfield, Glacier, Golden Valley, Granite, Hill, Jefferson, Judith Basin, Lake, Lewis And Clark, Liberty, Lincoln, Madison, McCone, Meagher, Mineral, Missoula. Musselshell, Park, Petroleum, Phillips, Pondera, Powder River, Powell, Prairie, Ravalli, Richland, Roosevelt, Rosebud, Sanders, Sheridan, Silver Bow, Stillwater, Sweet Grass, Teton, Toole, Treasure, Valley, Wheatland, Wibaux, Yellowstone, and Yellowstone National Park, and it hosts federal courthouses and U.S. Attorney’s Offices in Billings (2601 2nd Avenue North, Billings, MT 59101), Butte (400 N. Main, Butte, MT 59701), Great Falls (125 Central Avenue West, Great Falls, MT 59404), Helena (901 Front Street, Helena, MT 59626, and Missoula (201 E. Broadway, Missoula, MT 59802). You can make more informed decisions throughout your investigation or case by familiarizing yourself with basic legal principles in the federal criminal justice system. What Are Conditions for Pre-Trial Release? – Are you detained pending trial? Oberheiden, P.C.’s legal team can help you craft the best possible defense strategy. One of the most important tasks which our attorneys will tackle first, is getting you out of federal incarceration. Federal Grand Jury Subpoena Defense –How do you effectively respond to a grand jury subpoena in order to give yourself the best possible leverage for success? Learn about what is required in such situations, and how a federal grand jury is entirely different from a state court petit jury. What Are My Options after Being Federally Indicted? –Dr. Nick Oberheiden will help you understand what happens next once you have been indicted. Find out what your next available steps are and how you can take advantage of important opportunities at every stage. What Is the Burden of Proof in Federal Criminal Cases? – The term “beyond reasonable doubt,” is important – learn what it means. Read about how a jury will judge your innocence if your case does go to verdict. How to Prepare for a Criminal Trial – Preparation is essential in all segments of life, especially when it comes to a federal criminal trial. Find out how even mundane everyday tasks such as posting on social media can cost you. Read about affirmative steps you can take to prepare yourself for trial and improve your odds significantly. How Can I Prepare for My Sentencing Hearing? – Sentencing is often determined in an entirely separate legal proceeding. Find out how you could protect yourself while you wait your sentencing with four separate steps. If a federal agency such as the DOJ, FBI, IRS, OIG, or DEA has sent you a grand jury subpoena or even a target letter – it could potentially signal that you are the subject of a federal investigation. In order to proceed in the best possible manner – you will need to contact your federal criminal defense attorney as soon as possible. An experienced federal litigation lawyer will know what steps to take next, your obligations under the law, and what you need to do to prepare yourself. Of course you do. Our team of seasoned attorneys has a long history of helping clients such as you avoid charges and even obtain outright acquittals during trials, even for clients under a federal indictment. We may be able to help you negotiate a plea deal that minimizes the consequences of your indictment, even if you cannot avoid some form of sentencing. Our experienced Montana federal criminal defense lawyers will help you determine whether an investigation is criminal or civil in nature. They will tap into their vast reservoir of knowledge to help you understand the nature of your case and to help you make wise decisions regarding your future. Oberheiden, P.C. takes the time to give you a free and confidential case assessment and slowly walks you through your options. We will help you make better informed decisions so you can avoid costly mistakes. Contact our Proven Montana Federal Criminal Defense Lawyers at Oberheiden, P.C. If you need a Montana federal criminal defense lawyer, we encourage you to contact us immediately to schedule your free case assessment. To discuss your case in confidence, call us at (888) 519-4897 or send us your contact information online now.